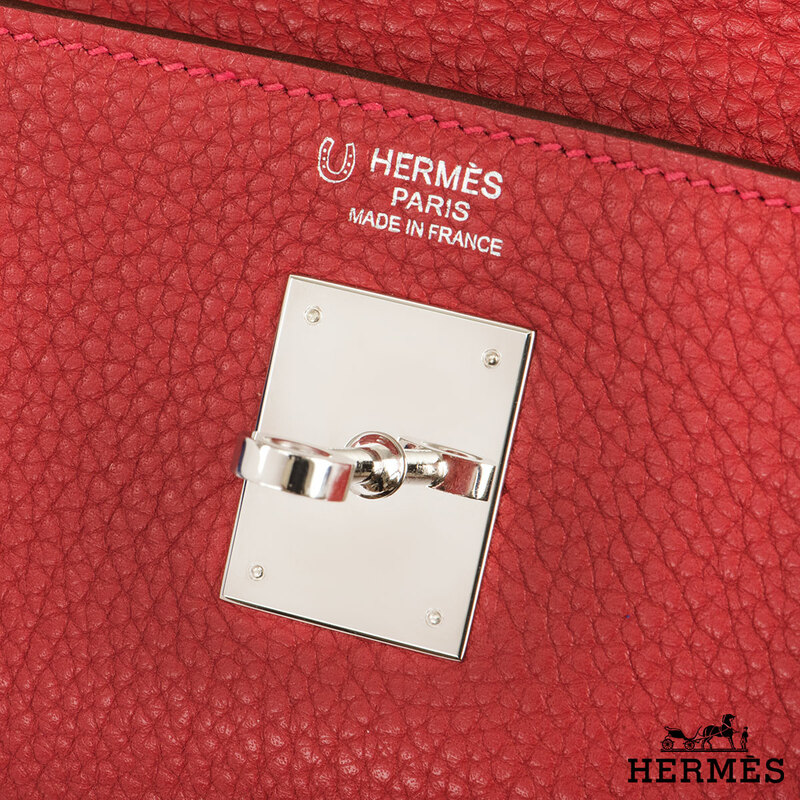 An exclusive Hermès 32cm PHW Horseshoe Kelly Bag. 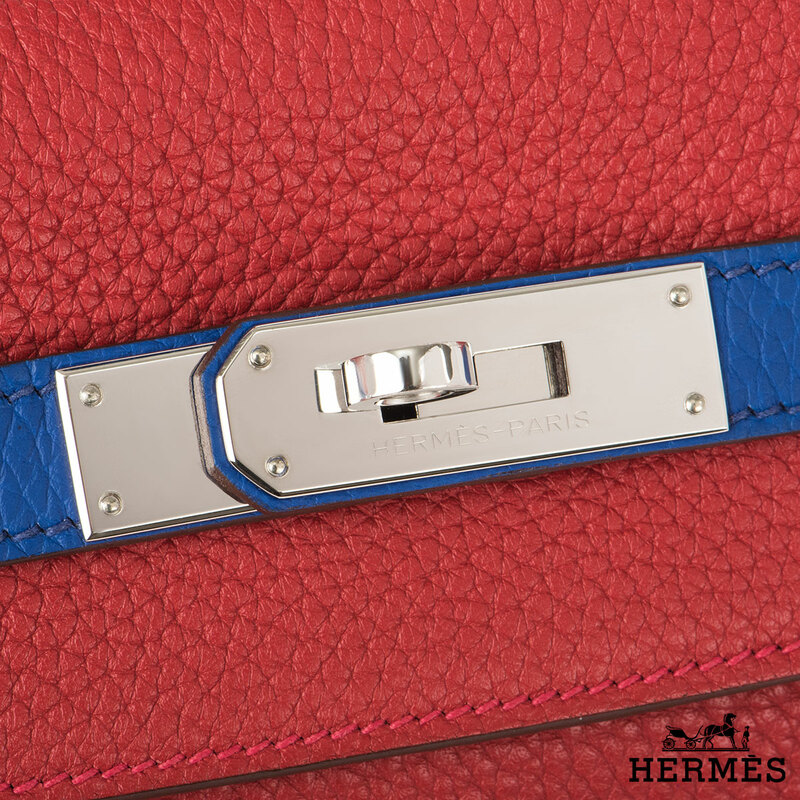 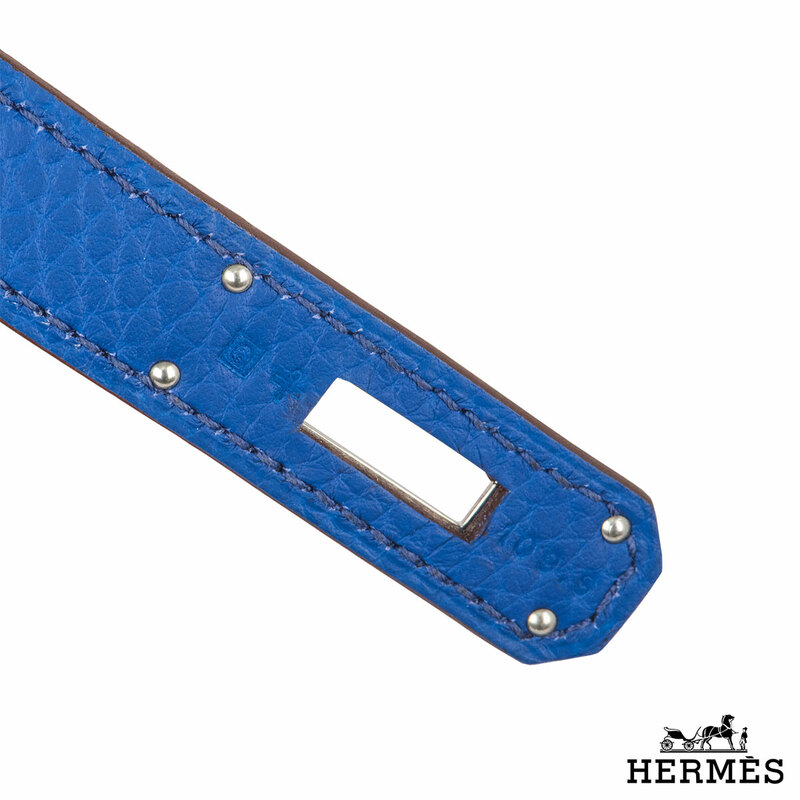 The Bleu Electrique and Rouge Casaque Clemence leather bag has palladium hardware with a rolled top handle. 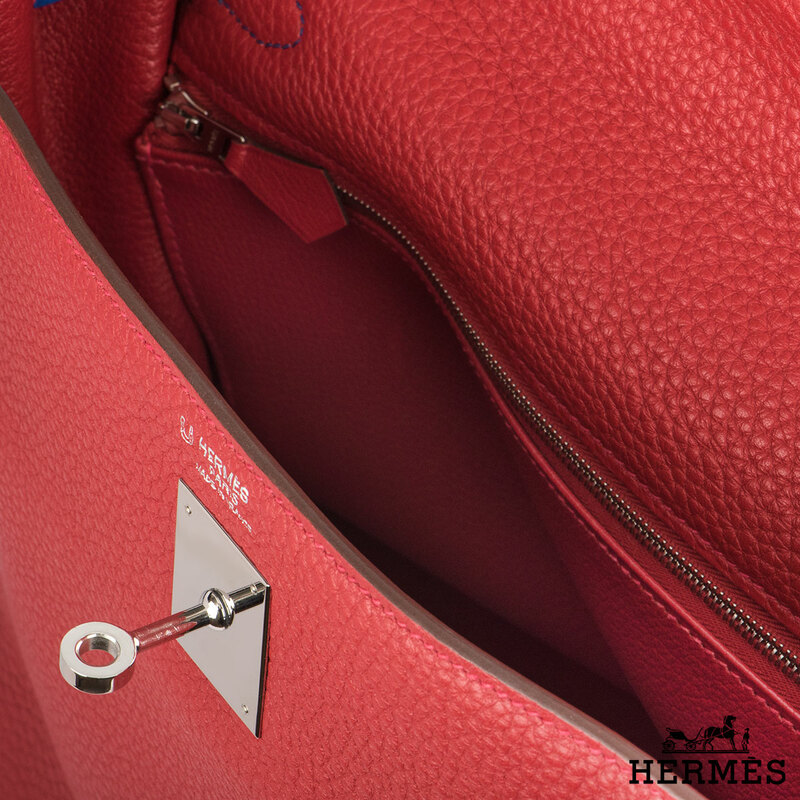 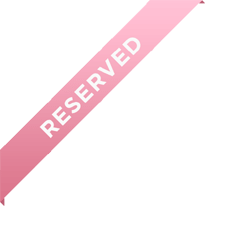 The bag has a single interior zipped compartment and 2 open pockets to the opposite side, complete with padlock and hanging clochette with keys. 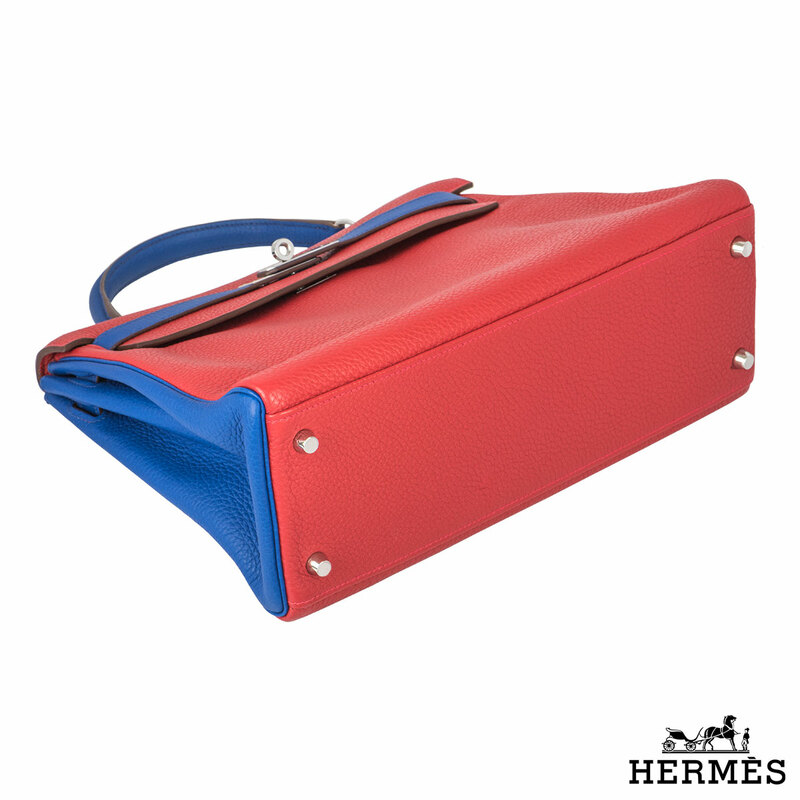 The bag is in excellent condition and measures approximately 32cm in length, 23cm in height and 13cm in depth. 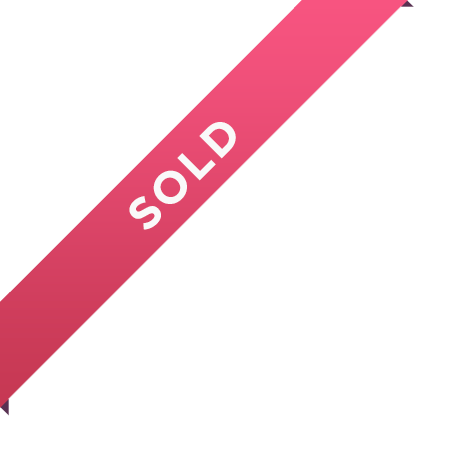 Date stamp is Q in a square - 2013 production. 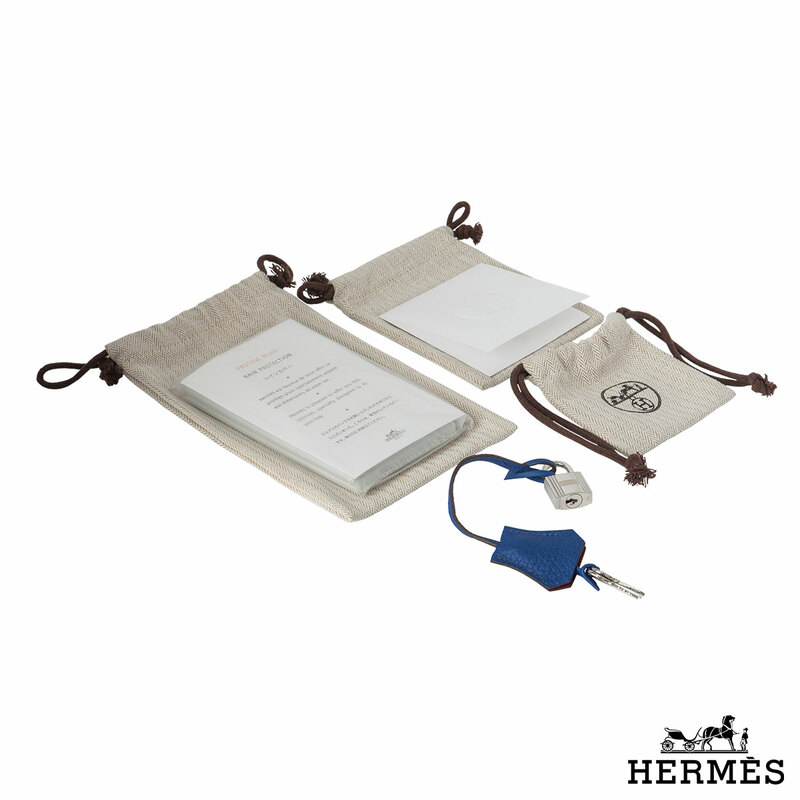 The bag comes complete with our own certificate of authenticity and Hermes rain coat.